We are in need of a few Interns to assist us with EditFest NY 2009 for June 12-14. If you are interested please email us! MEWSHOP will be closed on Monday, May 25th in observance of Memorial Day. 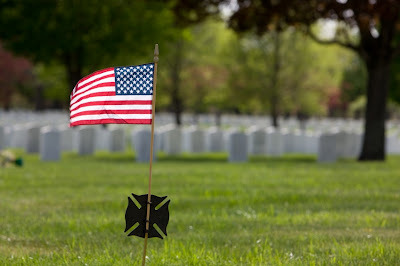 Have a wonderful extended weekend and don't forget to remember those who served and sacrificed for your freedom today. There are still spots available for our Six Week Intensive Workshop starting on June 15th. Here's where you find all the details of the program! 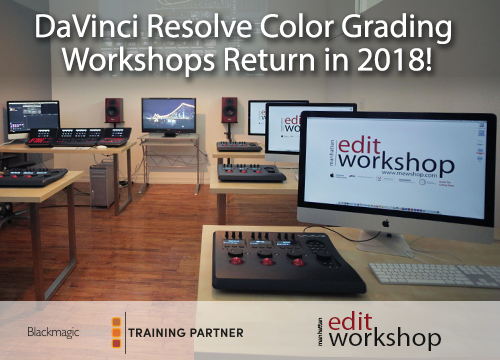 * Learn the two leading industry tools: Avid and Final Cut Pro. * Work with top editors in our Artist in Residence Program. * Create a professional editors reel to let your talent speak for itself. * Let MEWForce connect you to at least fifteen* post facilities. * Take the Apple Certification exam FREE. If you are interested in registering please feel free to do so here or call us at 212-414-9570. "The instructors not only know what they’re teaching but they know how to teach. The support staff was very helpful and the owner of the school is serious about helping people find jobs after graduating. Each of us had individual workstations and we didn’t just learn the programs - there were film viewings, readings and discussions on the aesthetics of editing, which was something else I was looking for in an editing class. All around I’d say it was definitely worth it." "I just wanted to write you and say thanks for the wonderful experience at MEWShop. I wish it never had to end. The instructors there are AWESOME and I am so happy that I made the decision to take the class with you guys. Really thorough and professional and I was very satisfied." Certification Sunday at Manhattan Edit Workshop. Certification Sunday is presented in conjunction with EditFest NY - an unique educational and networking event that brings the most sought-after editors straight from the cutting room directly to the audience. Presented on June 12th - June 13th by American Cinema Editors (ACE) and Manhattan Edit Workshop (Mewshop), EditFest NY will deliver vital insight into the role and process of the editor as a critical part of any creative team. With EditFest NY ticket $179. 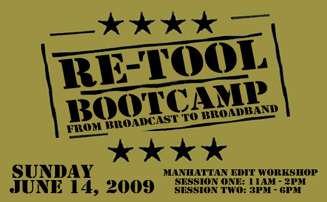 Retool Bootcamp is designed and taught by Evan Schechtman, founder of New York’s first and largest Final Cut Pro facility, Outpost Digital. With more than fifteen years experience pioneering new workflows, Evan has created and configured post-production facilities all over the world. Having helped define the cutting edge in digital media workflow, Evan possesses a unique insight into the world of technology, business and promotion. 3 day Intensive Apple certified Motion 101 course coming up! Learn generators, particle presets, groups, creating text effects, particles and parameter behaviors, replicator, advanced particle design, keyframing, painting in motion, keying, roundtripping and so much more!!! We had such an overwhelming request for the After Effects Masterclass last Saturday that we are in the works on planning another! It filled 5 days before the big day! But don't worry if you didn't get to attend last week, you'll get your chance soon enough. Please check back here and on our Website for future dates! Here's a basic outline of what you'll learn in the FCP 200 course on June 1st at Manhattan Edit Workshop. 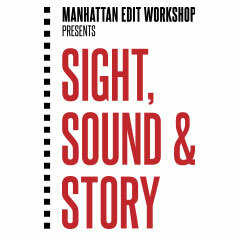 Learn Final Cut Pro the Right way, at Manhattan Edit Workshop! You guys weren't kidding when you said you wanted an After Effects Masterclass! It's full! But do not fear, we have one scheduled for August 22nd and hopefully another earlier if all goes according to plan. We are thrilled to have Marcus Geduld instructing. Cheree Dillion was one of the many fantastic students to take our Art of Documentary class a few weeks prior. Check out what she came up with for Ryan's Biking for Obama piece here. We know you'll love it!